So my last blog post was very whoa is me ha-ha...and I spoke too soon. Apparently there ARE people listening and it has paid off BIG. 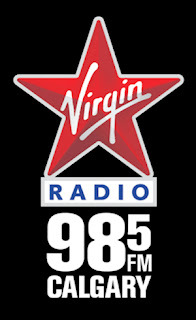 This morning I got a call from Virgin Radio 98.5 and they left a message saying I had won a prize package of $500 to Marks and $1500 cash for my work on this blog, it is part of their reMarkable Wednesdays. I was in complete shock! I literally emailed every radio DJ, called them a billion times, tweeted them and Facebook-needless to say I was a bit excited. I got a call back about an hour later from a friendly girl named Amanda, she explained that I had for sure won and that they would call me when my prize arrives. WOW I just cannot believe that I won...I kind of think Karma has a bit to do with it. Now it is time to start planning...how to use this prize for the greater good. I have some great ideas already for the Mark's card and I want to use some of the money to start my Sprinkle Bags!! Finally some cash to get this idea going...it may just happen before Christmas like I wanted. It is all coming together and I am so thankful and blessed. I am going to keep you posted on how every last $ was spent (not going to lie some of it will be coming to Mexico next week to have some fun and maybe take my friends out on a fun adventure). -Nicky, beyond excited and thankful to live in such a great city! Congratulations on the win! Well deserved!